CNET have a fascinating article on the Apple's first Disk Operation System (DOS) which it needed for the Apple II microcomputer. As the article describes Apple bought the DOS from an outside company to work with the Apple II and the innovative disk drive Woz designed as they didn't have anyone in house who could develop the DOS in time. Apple DOS was critical in the success of the Apple II and hence Apple itself which may not have survived long enough to develop the Lisa and Macintosh if the Apple II had not been the success it was. 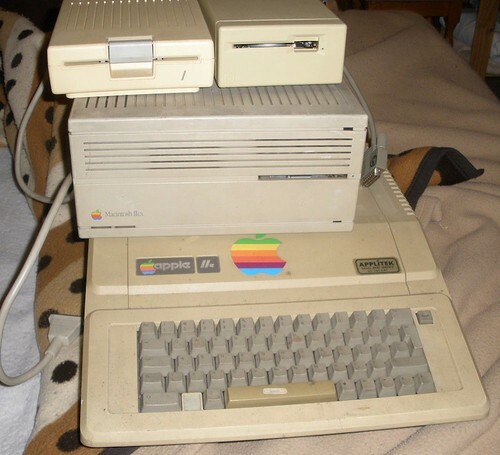 Indeed the Apple II continued to be a success well into the 1980s. Apple DOS was written by Paul Laughton, and it together with Woz's disk drive and VisiCalc (the first killer app) made the Apple II a success in business. Interestingly it was developed on a minicomputer, stored on punch cards and debugged on that system before being put on Apple's microcomputer (more about this can be read here on Laughton's own website). This is nothing new of course, the Apple II itself was used to write early Lisa and Macintosh system software.